CENTER VALLEY, Pa., February 3, 2010 - The new Olympus PEN® E-PL1 is truly greater than the sum of its parts, with a surprisingly small camera body packed with technology normally found in bigger, bulkier and heavier professional Digital Single Lens Reflex (DSLR) cameras and High-Definition (HD) camcorders. This third-generation PEN is built for shutterbugs who always wanted better pictures and considered a DSLR, but were intimidated by the bulky size and complex interface. The new camera's simple design and easy interface enable consumers to easily create amazing images never dreamt possible. 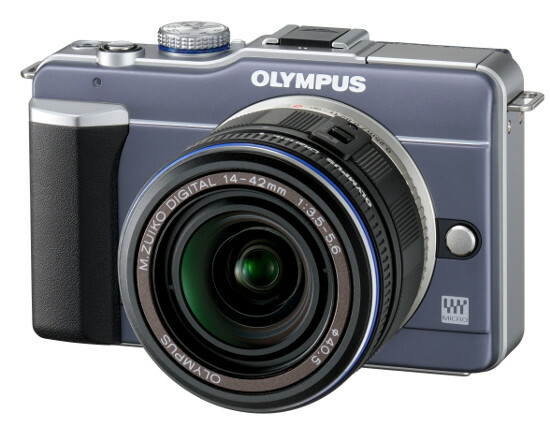 It will make you wonder how Olympus managed to put all of these powerful features inside such a compact camera for only $599.99. The E-PL1's new Live Guide interface simplifies great photography and gets the results you desire at the touch of a button. Want more vivid or muted color in your shot? Want warmer or cooler color? Want a brighter or darker subject, or a sharper or softer background? Or maybe you want to capture the fast-moving action of your subject with a little artistic blur, or perhaps freeze the action? Simply select Live Guide and press the up and down arrows on the back of the camera to slide through numerous photographic effects. Make adjustments and watch the LCD as the effects are made live - before the image is captured! Don't worry about learning technical things like f-stops, shutter speed and white balance; jump right in by composing, adjusting exposure and more before the shot is taken. 19 Scene-Select Modes: From portraits to sunset shots, the E-PL1 is equipped with 19 Scene-Select modes for effortless picture taking, including Fireworks, Sunset, Children, Macro and Panorama, to name a few. Capturing beautiful portraits is easy with the ePortrait Mode that enables you to smooth your subject's complexion. Intelligent Auto (iAuto) Mode: When you don't want to use the scene-select modes, the iAuto mode automatically identifies what you're shooting and adjusts settings for you to capture the best result depending on the situation. Face Detection: Reduce the chance of blurred subjects in images by recognizing up to eight faces, tracking them within the image area, and automatically focusing and optimizing exposure for sharp portraits. In-Camera Panorama: Capture three images and stitch them together to create one amazing, seamless panoramic picture. 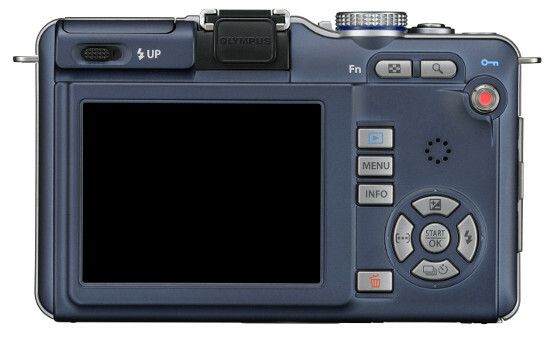 Or use the included OLYMPUS [ib] software to stitch up to 10 images together for the ultimate panorama. iEnhance: With this mode the warm yellow and orange colors of a sunset are heightened to a dramatically lifelike color that's truer to what you see with the naked eye. iEnhance can be used in any mode, and automatically engages when using iAuto to enrich color in any subject. Share: Just connect the camera to an HDTV with an optional HDMI cable and use your TV remote to control playback functions and navigate the camera's menus from the comfort of your personal front-row seat. The E-PL1 records to SDHC (Class 6 recommended) media cards that can be plugged directly into many devices and accommodate large files, including videos. The E-PL1's Continuous Autofocus (C-AF) Tracking and Autofocus (AF) Target Registration locks your subject into focus and constantly adjusts focus and brightness whether you or your subject is moving. With this mode, a simple push of the shutter release enables you to keep moving subjects in focus - tracking them from left to right and from front to back - within the frame, automatically ensuring that even active subjects, like kids playing sports, are captured clearly.